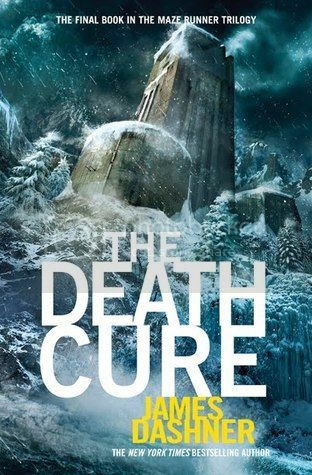 This is my second time reading The Death Cure, this time as part of the #DashnerDash read-along of The Maze Runner series by James Dashner, and I seriously can't get enough of these books! All the characters that we know and love, and a few that we really dislike, are back again in this third installment of the Maze Runner series. I have loved watching the friendships between these characters grow and grow, and I'm constantly amazed at what these characters accomplished as the series went along. Thomas, Newt, Minho and more really make this series something special. To be honest, I found The Death Cure a little bit harder to read than the previous books, and most of that was because of Newt. Without giving anything away, I will just say that Newt has been one of my most favorite characters in this series, and reading about what was happening to him was SO hard to read. It made me super sad. The storyline for the book continues along the same line as the previous books, and boy was it a wild ride! I can honestly say that I hope what happens in these books never happens in my lifetime, as I would totally be the first person to perish. (Ha!) I'm really glad I reread this book, because as with the previous books, I had forgotten a lot of what happened, including the ending. Now that I remember, I'm pretty excited to get started on the prequels, starting with The Kill Order next. Unfortunately the movie for The Death Cure won't be released until 2018, so there's no review for that, but I am anxiously waiting for its release! I hope it's as good as the previous movies, and the book! Overall; I think this series just gets better as it goes along, and I'm super excited to start The Kill Order now, as it will be my first time reading the book, and I'm super excited to start it! 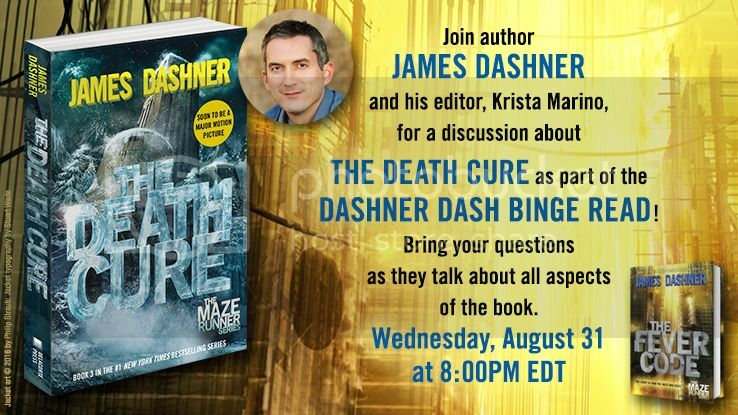 There's still time to join in the #DashnerDash read-along, in preparation for The Fever Code's release in September!! And Editor Krista Marino as they talk about THE DEATH CURE!